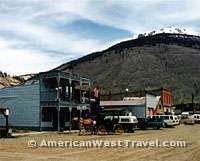 It is fitting that a great train ride like the Durango and Silverton Narrow Gauge Railroad has an equally great destination like the town of Silverton. 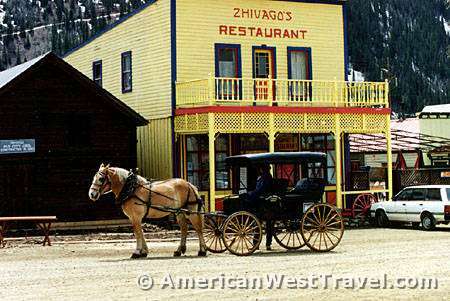 One of the American West's finest "old west" towns, Silverton, Colorado, has a perfect blend of "tourist" old west and "real" old west. 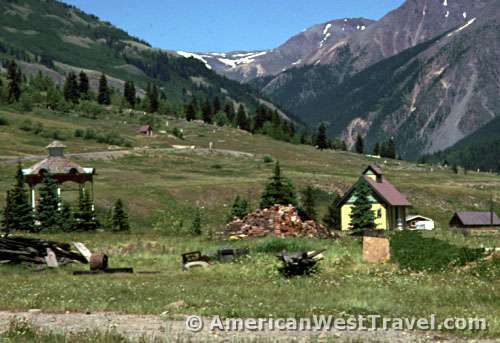 Silverton, known as "the mining town that never quit", is nestled in a deep valley at 9,300 feet beneath 13,000 foot peaks in the spectacular San Juan Range, the western slope of Colorado's Rocky Mountains. 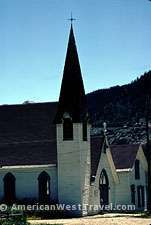 Aside from the history, the town is also the gateway to miles of four wheel drive roads and hiking trails in the awe inspiring high country. 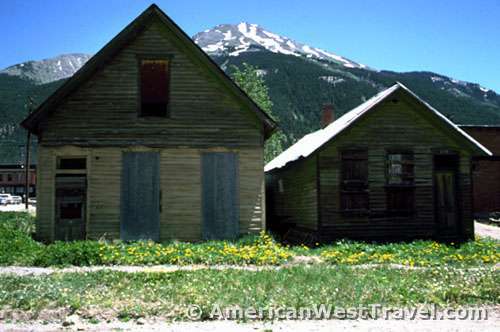 You can tour gold mines, visit ghost towns. or just enjoy the scenery. The initial silver strike took place in 1871, and the town was built in the ensuing years with the railroad arriving in 1882. The peak of the mining era was during the years 1900 to 1912 when the population reached 5,000. 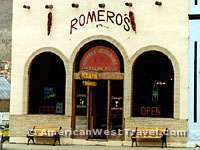 Economic fortunes ebbed in the 1950's, and the town started turning to tourism. However mining still takes place to this day, and 700 residents still live here. If you arrive by train, the depot is at the corner of Blair and 12th Streets. 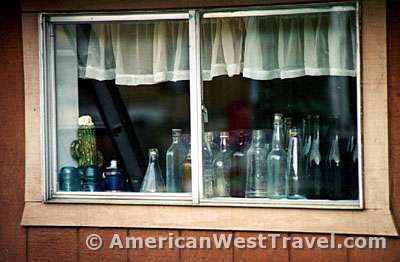 During the mining era, Blair Street was notorious as the town's "red light district". 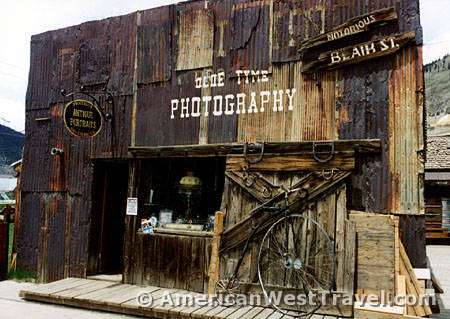 Today, the street is a tourist favorite with false-fronted buildings (such as photo, left) giving it an "old west" look. The next block (paralleing Blair) features Greene Street, the town's "main drag". 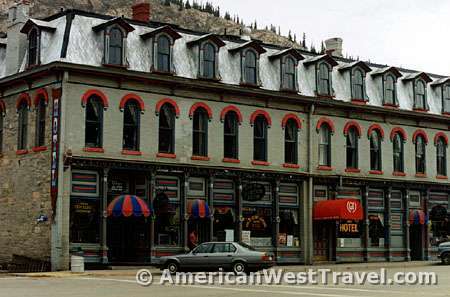 Here you will find many classic buildings from the 19th century which have been kept in good repair and are in use today as hotels, restaurants, stores, or offices. The Grand Imperial Victorian Hotel (in photos, left and right) was opened in 1883 (as the Grand) to accomodate the silver barons of the day. You can still rent a room there to this day and sample the wonders of Victorian grandeur! 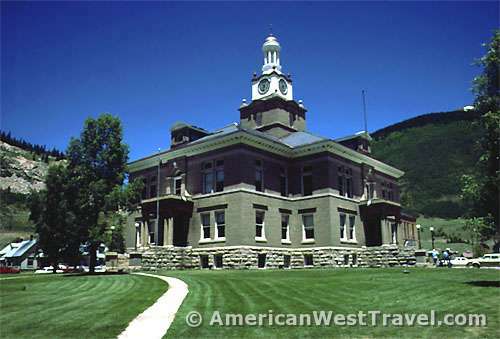 Be sure to visit the San Juan County Courthouse at the other end of Greene Street. 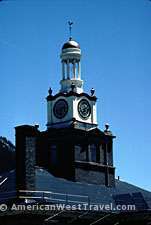 Built in 1907 at a cost of $79,000 the courthouse features a clock tower with a solid gold dome! 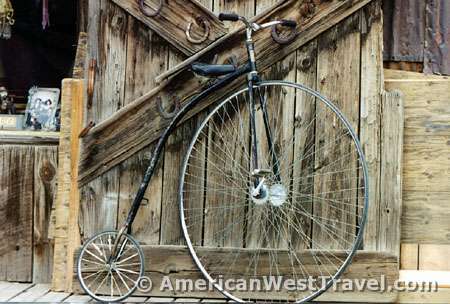 The far end of town features some of the old homes, miners' cabins, and assorted relics and junk which make it feel like the "old west". 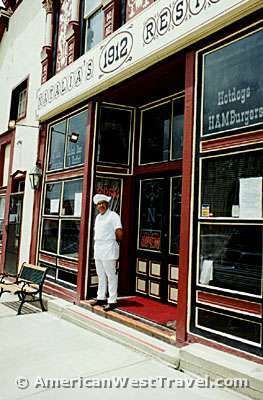 Our unique experience in the summer of 1985 was a visit to Daly's Rock Shop. 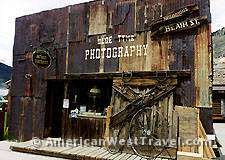 The shop was just full of relics, gemstones, antique's, old coins, mining memorabilia, and every sort of old junk. Old Mr. Daly claimed to have worked at just about every job at every mine in the area, and to have survived every blizzard, avalanche, calamity, etc. Plus he had a tall story for all of the interesting relics in his store. Silverton also features numerous interesting gift shops, art galleries, and restaurants. The area is a great combination of scenic wonders, tourism, and old west history. 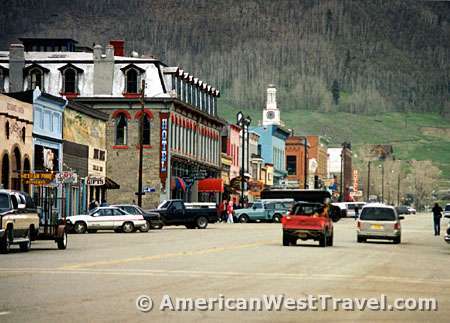 If you continue north on US-550, the "Million Dollar Highway", you will encounter fantastic scenery going over Red Mountain Pass, elevation 11,018 feet, and then arrive at the old west town of Ouray, renowned for its Victorian architecture, and also for its great hot springs! 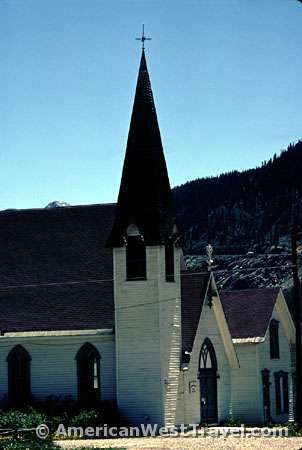 Silverton is 50 miles north of Durango on US-550.